An incredible 11 nights/12 days wellness styled trip for Amazing Women! Tour the very best of Croatia, Italy and Germany through an exceptionally unique experience. Croatia is a country situated in Central Europe, which is an emerging tourist destination and known as one of the safest countries to visit. It is located on the border of Italy and Hungary. The country features the following: 1000+ islands with spectacular beaches, a long coastline on the Adriatic Sea, a wealth of natural and cultural diversities, national parks and waterfalls, close proximity to the Dinaric Alps, 2000km of urban culture and luxurious tourist destinations, world heritage sites, 8000+ coastal cities (with old towns that have Gothic and Renaissance architecture starting from the 12th century) luxury hotels, harbors, many boutiques and shopping districts, spas, numerous artistic, sport and cultural galleries, authentic Croatian cuisine, truffles from Istria, wineries and so much more! 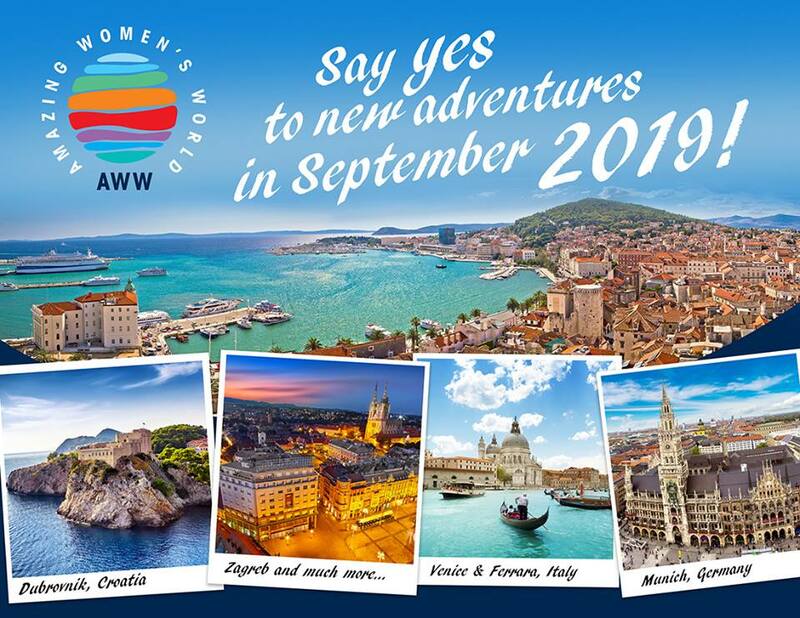 Be prepared for an incredible trip of a lifetime, a truly luxurious, relaxing trip catered to what women need, and want! New this year, add on a pre or post tour and create your personalized, special itinerary. Croatia Official Tour – Hvar, Sibenik, Zadar, Opatija, Groznjan, Porec, Zagreb. Design your luxurious, wellness inspired trip! 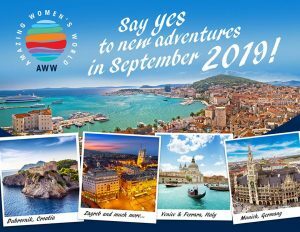 Contact Catherine Bobesich via the website http://wellnessbydesign.ca/aww-2019/ and complete the form to receive all tour information and details.